Matt Meng (President of the East Norwich Civic Association): Howard, please post some of your favorite photos of the Vanderbilt Cup Races as seen in East Norwich. Matt, first congrats on your efforts on behalf of the Maine Maid Inn. 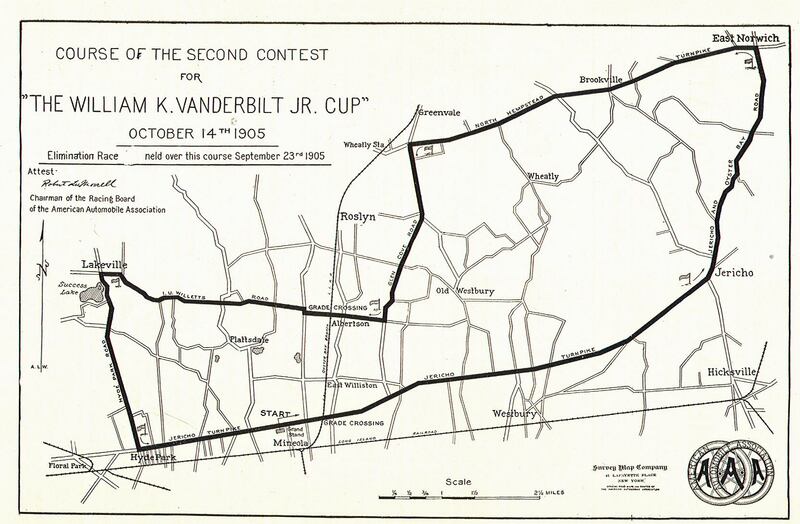 These are a few of my favorite images from the 1905 Vanderbilt Cup Race. 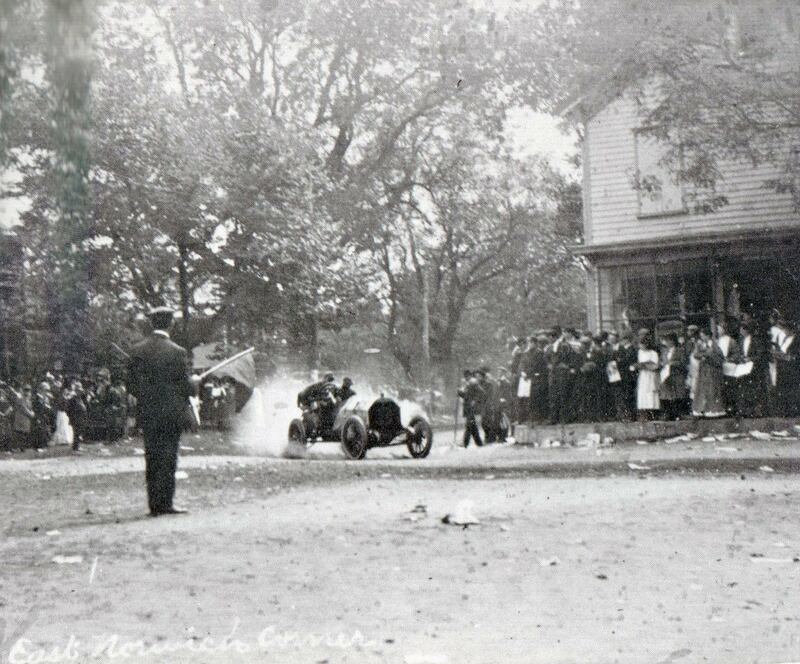 The north-east corner of both the 1905 and 1906 Vanderbilt Cup Race courses was in East Northport at the intersection of Jericho-Turnpike and North Hempstead Turnpike. A Michelin tire camp was located on Jericho-Oyster Bay Road approaching East Norwich. 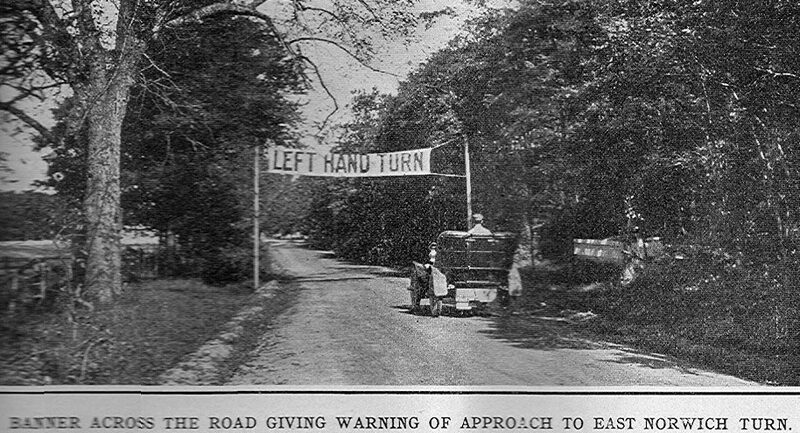 This banner notifies the drivers of the left turn at the intersection. Bert Dingley driving the #3 Pope-Toledo. 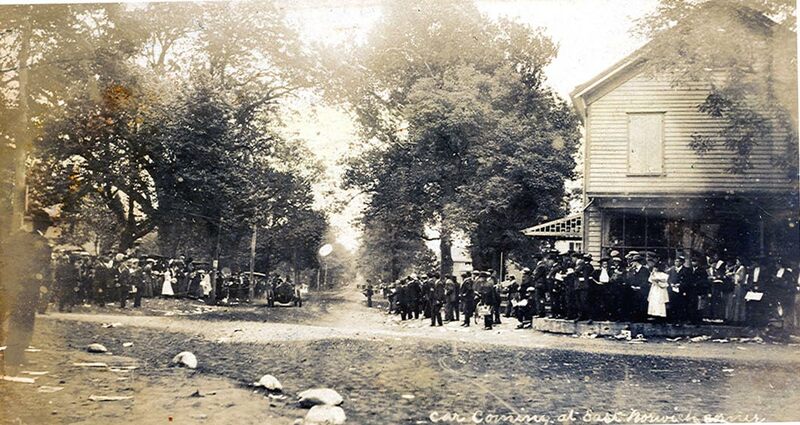 Layton's Store can be seen on the right. Paul Sartori towing his #20 Fiat after it broke down in East Norwich. A close-up of the top photo showing Felice Nazzaro making the turn in the #8 Fiat.